Knowledgehook is a web service with an Ontario Math bent that currently has free logins. It is not Ministry-licensed nor Ministry-sanctioned, but it allows for a promising method to consolidate work with digital tools. Go to www.knowledgehook.com and click Get Started. Click Create Your Free Account. Choose GameShow FREE! as the class type. There are video tutorials available. From the Classes' menu (three bars), choose Go! 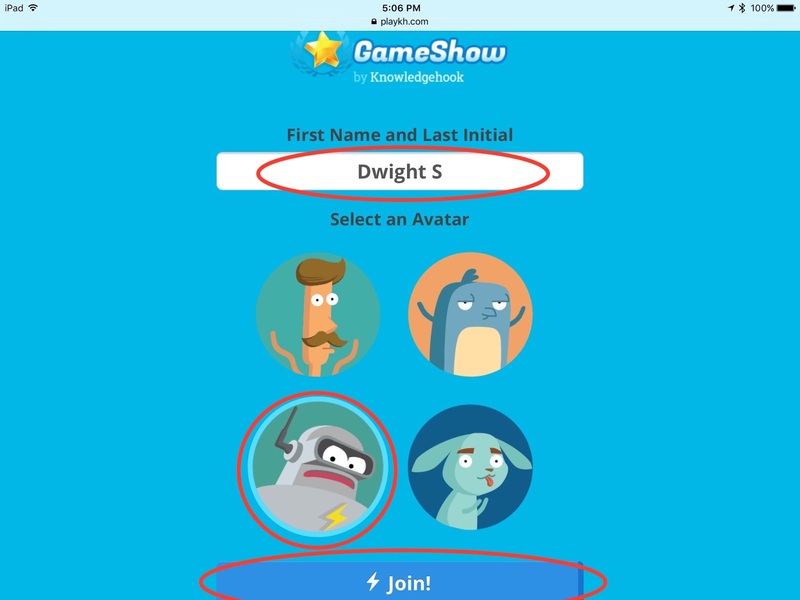 Supply a Name for the GameShow and click Create. Click Public for Sharing Settings, if you don't want to set up classes and logins. Add a Description and click Create New Question. Delete all but the correct answer. Type a New Question like "Share your screenshot". Click View GameShow at the bottom right. 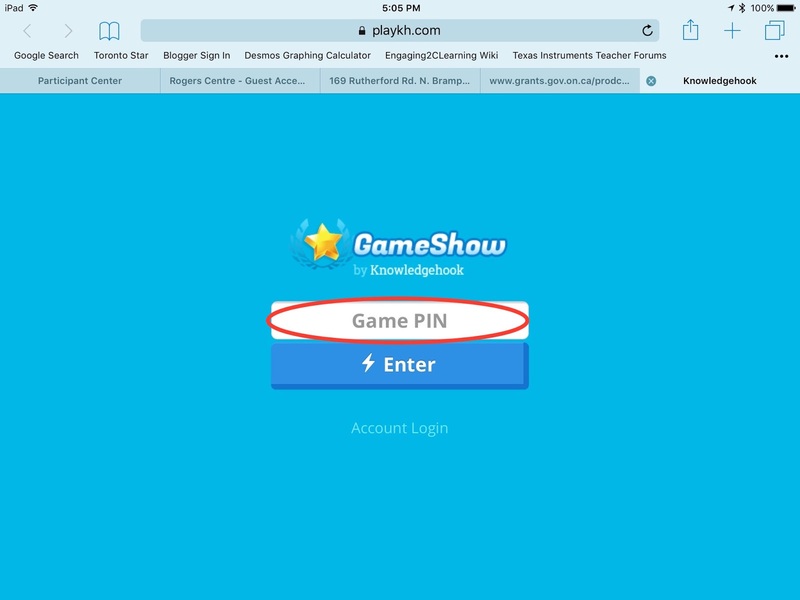 Click Play on the screen from step 10 or from the teacher GameShow screen's Custom tab. Set the Settings similar to the image below - make sure Enable Upload Solution is Yes and notice that Require Student Accounts can be No (if Advanced Settings are expanded). 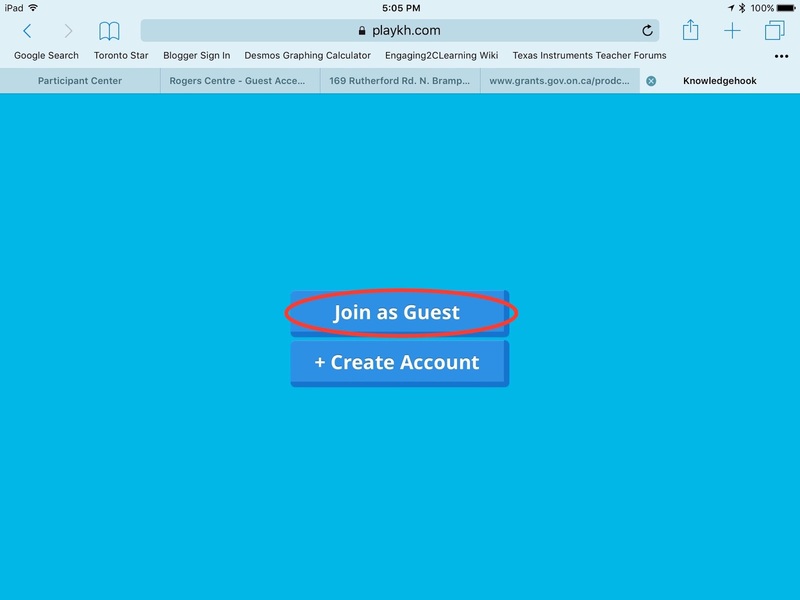 The steps for a student to join are displayed and you can see who has joined. 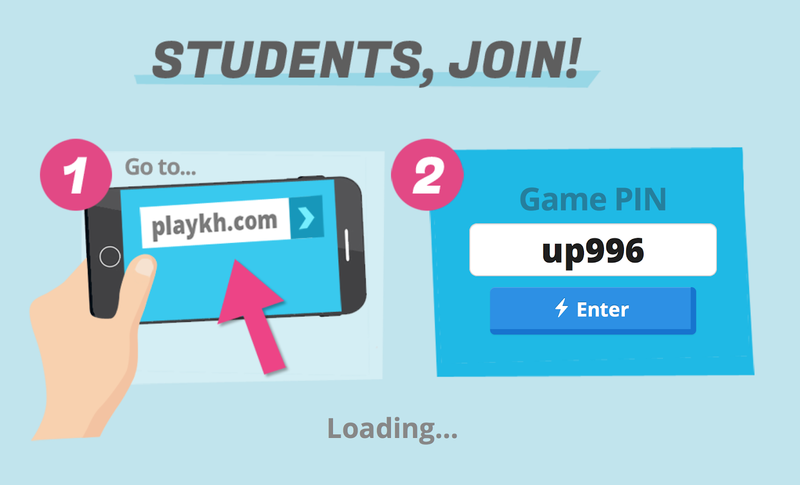 Students use playkh.com and Game PIN to join (see Student Instructions below). They will be able to join as a guest if Require Student Accounts is No. Press Start Game to see the next screen once you see enough students have joined. Students can join after you press the button as well. Go to playkh.com on your computer or mobile device. Enter the Game PIN displayed on the Waiting Room Page. If the GameShow does not require student accounts, you can Join as Guest. Supply your First Name and Last Initial, Select an Avatar and click Join. Once the GameShow has started, click on Correct Choice for Question 1. Under Share Your Solution, click Upload. Choose the previously saved file with the screenshot of your work. If you see a green checkmark next to Solution uploaded!, you are finished. There will be a large number on a folded page icon at the right which indicates how many uploads are complete. Do NOT click Finish Game - all the images will stop being available if you do. Once you want to start reviewing solutions click the folded page icon. More images will be added if they are submitted afterwards. The first image is displayed with arrows on the left and right to navigate from image to image. The images are anonymous, but the Reveal button can show the name of the contributor. If the image is not in the correct orientation, click Rotate. You can right-click and save any image locally. Click Finish Game when you are done with the images and responses. The game may be replayed from its fresh state.